These are one of my favourite makes. 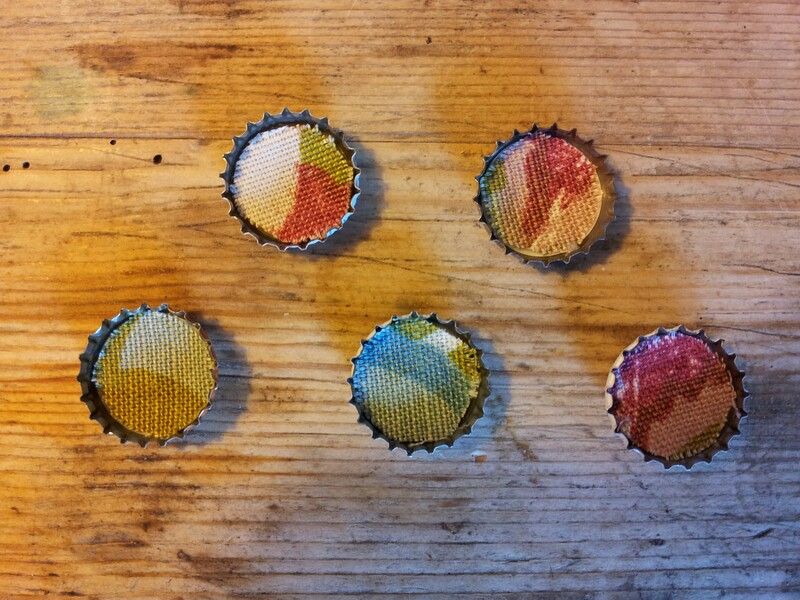 In just a few minutes, you can transform something ordinary (bottle tops) into little works of art. And it’s a great way to use up those tiny remnants of favourite fabrics, too. 1. Draw around your bottle tops on the wrong side of your fabric and cut out the shapes. 2. Put a thin layer of glue inside the bottle tops then gently press your fabric circles inside. 3. Put a dab of glue onto your magnet and secure to the back of the bottle tops. 4. Leave to dry, then attach to your fridge and enjoy.